50 Days Of Vape - E-Juice Reviews: Interview and Juice Reviews, with Loretta Galway who owns, www.loulabellesliquids.co.uk Juice Reviews:- Mental Lemon, Blasberry, Strawberry Ice-Cream, Creme Moulee, Blasberry Menthol, Dreamy Blue, Ice Queen. Interview and Juice Reviews, with Loretta Galway who owns, www.loulabellesliquids.co.uk Juice Reviews:- Mental Lemon, Blasberry, Strawberry Ice-Cream, Creme Moulee, Blasberry Menthol, Dreamy Blue, Ice Queen. Juice Reviews:- Mental Lemon, Blasberry, Strawberry Ice-Cream, Creme Moulee, Blasberry Menthol, Dreamy Blue, Ice Queen. Today I am having a chat with Loretta. She is a member of our ever growing, vaping community, and is a member of 'The Toot Suite' facebook group. I got to know Lou very well, and overtime, a good friendship was formed. Since I do written reviews for the vaping community, she asked me if I would be willing to sample her line of e-liquids, and give her my thoughts on her e-liquid creations. She is now producing her own fabulous range, to members of the public and Loulabellesliquids are opening it's doors and going live on Wednesday 9th of October 2013. She has been a keen enthusiast of DIY Juice making for some time now, and her sampled juice range has been tried and tested by many of us, who I might add, have all loved the flavours that she produces. 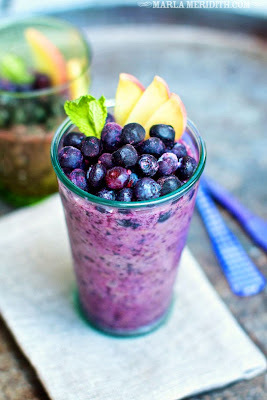 Recently she decided to start up on her own, and open her very own website solely dealing in her gourmet juices. She has full, continued support by her partner Paul, who gives his full support and helps every way he can. On Loullabelles website she has all the necessary information on steeping your liquids etc, and has also added a link to a petition she would like everyone to take the time to sign, to help save our ecigs. In Lou's own words she says " Please sign this petition and put a stop to the government making the classification of e-liquids containing nicotine, as a medicine, as defined by the MHRA. The website will be going live to the public on Wednesday, giving Lou just enough time to stock up and prepare everything for her grand opening. She has told me, the orders are coming in at the moment. Thank you for visiting my site, and taking an interest in my E-liquids. I take great pride in every E-liquid. I make all my own e-liquid recipes, and they are a standard mix of 60VG/40PG. I feel this is the best mixture for both flavour and vapour. Some of the ingredients in my liquids may crack polycarbonate tanks. All liquids are made as fresh as they can be and will arrive to you with a D.O.B (they may even be made on the same day you order) I advise that you allow 7 days for liquids to steep, this way you will get the best results from your liquid. I would like to have given your order a presteep and will try to make my stock in advance, so you can get the best flavour out of your juice. I have copied some steeping information below from the alchemists cupboard that may be of use to you. I aim to have my orders dispatched within 1-3 working days as i make all of my liquids in the evening, due to family commitments. I hope you enjoy browsing my store. Please don't hesitate to contact me if you need my help with anything. Here at Loulabelle's Liquids you will find only quality hand made E-liquids, made from the finest ingredients! I recommend steeping your liquid (see about for more info) I will try to do this myself for you. Your liquid will come with a D.O.B. (Date Of Birth), so please feel free to browse my store and try some of my delicious e liquid, if you have any questions or specific needs please do not hesitate to contact me. I make all my liquids 60VG/40PG ratio, unless otherwise stated. Some of the ingredients in my liquids may crack polycarbonate tanks. Loulabelle's Liquids are not to be used by persons under the age of 18, pregnant, breast-feeding women, or persons in ill health. E-liquids contain nicotine, which is an addictive drug, and should be used wisely, and not as a smoking cessation aid. Here are the names and the descriptions for the Gourmet Range Loretta will be selling on her website. 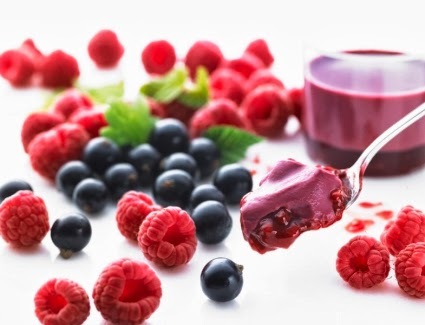 This is a blackcurrant and raspberry mix e-liquid. If you like a good strong refreshing flavour, then this is the one for you. These two fruits are wonderfully delicious together. This is also very tasty with and added menthol kick. This is BLASBERRY with MENTHOL. If you enjoyed Blasberry, and like a touch of menthol, this is the one you will definitely enjoy. These two fruits are wonderfully delicious together, and the menthol kick, makes it a little bit more special. This is a very strong delicious flavour. It is smooth and creamy. Don't be shy give the vanilla custard a try. A heavenly sweet strawberry kiss from cupid himself! 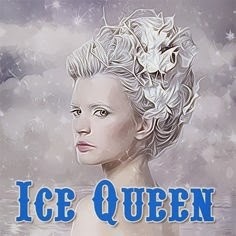 An ice cold minty liquid collected from the veins of the Ice Queen herself. Do you dare try the blood of the Ice Queen and be frozen in all eternity? Jack Frost has a delicious soft mint center, unlike his cruel mother he is much more mild mannered. Lemon and honey, traditionally used as a medicine for coughs and colds, and also as a herbal medicine for joint pains and many other ailments. This is my mental cure for your lemon withdrawal, with a kick of menthol, to help awaken your taste buds. 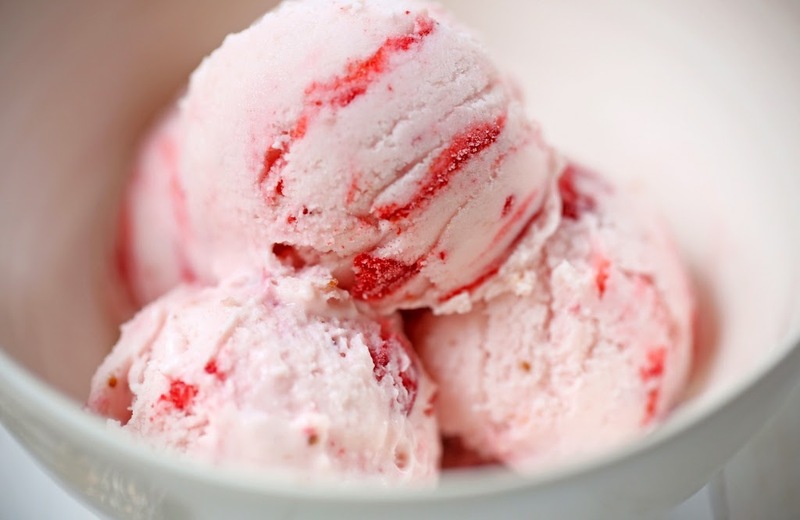 This is a very smooth, cold and creamy, rich strawberry ice-cream. Your palate will feel revived after this delicious dessert. On Loulabellesliquids there will be the choice of nicotine strength. Loretta told me she will offer.....12mg, 16mg and 24mg with the option to have zero nic strength if required. If she has any requests for other nicotine strengths she would be more than willing to meet your needs. Just leave a comment at checkout and she will do her best to meet your requirements. Loretta informed me she will only be doing 10ml bottles to start with and the website will have the option later on to choose either 10ml, 30ml or 50ml bottles. If the e-liquids are popular, and people ordering would rather have larger bottles she will add them to the website. On placing your order, you will receive a detailed letter, giving you all the necessary information you need to know regarding steeping your e-liquids. You will also have a detailed invoice and a business card, which I think is a very nice touch. More new flavours are being worked on at the moment, and will be getting added to the website as they are created. One of her newest flavours being added to loulabellesliquids will be Strawberry laces. I'm looking forward to trying that one. Loretta has worked very hard, to get her business off to a flying start. She has dedicated herself to her business, and is very proud of her wonderful new juice creations. As a vaping community, new and old, Loretta would be grateful for everyone's moral support, and in return, she has delivered some wonderful new flavours for all of us to try. Her flavours are new recipes, waiting to be tried by many, and I have seven new ones here to sample, as Loretta kindly gave them to me, for the purpose of review. All bottles are beautifully labelled and easily read. These are sample bottles for review purposes only. Loretta has assured me when all orders go out, they will have all the necessary tactile warnings etc. All E-liquids are 60VG/40PG and 24mg, which was my chosen nicotine strength. I am using my dripper at 1.8ohm, on my Provari, set at 4.2 volts and I will be using this setup throughout my review. On opening the bottle, the most fragrant aroma of fresh spearmint. Cool and refreshing and one of my favourite flavours. I am quite partial to a nice minty vape. The scent from the bottle was vibrant and mouthwatering, I couldn't wait to try this one. Its aroma had hints of peppermint and a mixed mint, but the spearmint was one of the more prominent of the mints. On the inhale, a peppermint chill, softly chilling the back of my throat, with a nice minty coating on my tastebuds. The flavours combined perfectly together, giving this flavour a nice balance. I could taste a light menthol or maybe a drop of Koolada on my palate, giving this juice a nice chill factor. On the exhale, Lush chilling spearmint, not unlike the spearmint chewing gum you can buy with the famous name. My lips were cool with the peppermint, softly flowing over my palate, a frosty chill of spearmint making this juice extremely creamy and very moreish. Summary:-, This is a lovely e-liquid. It's sweet , but not overly sweet, it leaves a lingering minty aftertaste, which is very clean and refreshing, and has no acidic taste or underlying bitterness. It was very pleasant. I enjoyed this one. Vapour production was excellent for a 60VG/40PG juice, and produced plumes of vapour, the throat hit was perfect with it being 24mg. The flavour was lovely and this e-liquid is one I could happily vape all day. I actually received this juice in my chosen mg of 36, and it tasted far too strong for a light, mellow, custard vape. The high strength nicotine didn't do the juice any favour, but that was my own fault, as I asked for that strength. Loulabelle was very helpful and kind, she sent me another one in 24mg. I held off until the 'Creme Mulee' arrived, and I continued with the review. On opening the bottle, a creamy vanilla aroma fanned from the bottle. It was quite rich, and very warming. Lush creamy vanilla, with a prominent scent. Not as strong as the other custard vapes I've had, but creme brulees are much smoother and lighter, and not as pronounced in flavour as your typical custards are. This was much better in the lower nicotine strength. On the inhale, a sweet, mellow taste of vanilla custard, coated my tastebuds. It was a nice creamy texture, and very light on the palate. Very smooth and enough throathit for this type of vape. 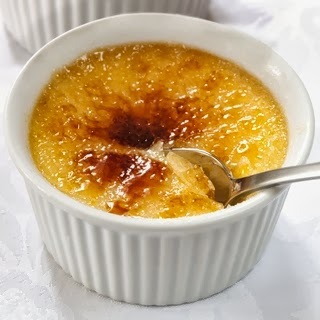 'Creme Brulee', is also known as burnt cream, amongst other names. It is a dessert, consisting of a rich custard base, topped with a contrasting layer of hard burnt caramel. On the exhale, again, quite simply, a soft creamy vanilla custard flavour, very faint and very similar to a mild vanilla custard. The flavour was soft, sweet and moreish. If you like your custard flavours very light and mellow, then this one might be for you. Summary:- The e-liquid was a nice mellow flavour, with a rich creamy texture, but as I say to everyone, taste is very subjective, and what I may not enjoy, others may love. No bitter after taste, and no acidity to this juice. Vapour production was excellent for a 60VG/40PG juice and produced great vapour, the throat hit was smooth, for it being 24mg. The flavour was nice, and it is one I would vape inbetween other flavours, as it's quite a sweet vape. I would more than likely say, it would be nicer after a meal, or when you wanted something sweet. This one wasn't for me but if you like your sweet vapes then you might like this. 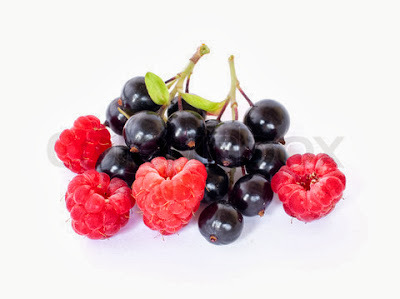 This is a blackcurrant and raspberry mix e-liquid. If you like a good strong refreshing flavour, then this is the one for you. These two fruits are wonderfully delicious together. This is also 'Blasberry Menthol', very tasty with and added menthol kick. On opening the bottle, a beautiful fruity aroma fanned the air. There were pronounced aromas of fresh, ripe berries, and smelled very refreshing. On the inhale, the flavour was fruity, and I could taste juicy blackcurrants, and raspberries. Being able to pick each flavour separately was great, as it gave you a different taste with each inhale. Fresh fruits of the forest, not the fake fruit flavours, you get with some of the fruit flavours, but fresh juicy fruits which have just been picked. On the exhale, the berries were very flavoursome and ripe. I could taste many flavours in there but the most prominent ones were the blackcurrant and the raspberries. Summary:-, I really enjoyed this one, as it was packed full of fresh, fruity flavour. The flavours blended perfectly together. There were no bitterness, and no acidic aftertaste. Vapour production was excellent for a 60VG/40PG juice and produced plumes of vapour. The throathit was perfect with it being a 24mg juice. This is one you could vape all day. If you like forest fruits, this one is for you. On opening the bottle, a beautiful fresh, juicy, sweet strawberry aroma wafted in front of my nose. This was similar to wild strawberries, and the scent was very nice. Strawberry vapes for me, have always been a flavour I have never really got on with. I love fresh strawberries in small quantities, and I tend to go for other flavours before I would choose strawberry. This on the other hand smelled quite fragrant, and my first thoughts were, I wasn't going to like it. On the inhale, a smooth strawberry flavour, with hints of cream and vanilla. It was light and creamy, and very pleasurable on the palate. I was actually surprised that I liked this one, as I thought the first inhale would have been enough, but it was rather nice and the flavour was one I quite enjoyed. On the exhale, a silky smooth strawberry cream, coated my tastebuds. It didn't linger on the palate for long afterwards, but It was a pleasant vape. Summary:- All in all, a very nice refreshing vape. I really enjoyed this one. It was sweet, but not overly sweet. It left no bitter aftertaste and no acidity on the palate. Vapour production was excellent for a 60VG/40PG juice, and produced plumes of vapour, the throat hit was perfect with it being 24mg. The flavour was nice but one I couldn't vape all day. The dessert vapes are all inbetween flavour vapes for me as I prefer something not so sweet for my all day vape, but it would be nice if you fancied something sweet. On opening the bottle, the aroma of berries. I'd say it was more of a candy type of berry. Not unlike blueberry, but with some other underlying flavour. It smelled quite floral and fruity, but it was difficult to tell, by just scent alone..
On the inhale, a very subtle taste of blueberry. It was sweet but not overly sweet, and very light in flavour. It wasn't dry in any way and left no after taste in my mouth. I enjoyed this one. It tasted of blueberry candy with lashings of sweet cream. Sweet but not overly sweet and a nice relaxing vape. On the exhale, the flavours changed. What I thought was all blueberry, was infact blueberry with an underlying taste of what might be raspberry. A lovely soft, gentle raspberry coated my palate. The flavours were blended perfectly and were quite subtle on the exhale. Very placid and very moreish. I really liked this one. Summary:- This flavour was creamy and sweet, and one I wouldn't mind vaping all day. It didn't leave a bitter aftertaste, and the tart raspberry blended perfectly with the sweetness of the blueberry candy. Vapour production was excellent for a 60VG/40PG juice and produced plumes of vapour, the throat hit was perfect with it being 24mg. The flavour was outstanding and this e-liquid is one I will most definitely be vaping all day. This is BLASBERRY in MENTHOL if you enjoyed Blasberry and like menthol this is the one for you. These two fruits are wonderfully delicious together and the menthol just makes it a little bit more special. On opening the bottle, the aroma of what I had experienced in the 'Blasberry' but with added menthol kick. Very fruity, and this time with a nice cool menthol scent. On the inhale, bright and refreshing summer berries, with a nice cooling effect. It brought out the flavours in the juice making it a little more enjoyable I'm a menthol fanatic, and If all my flavours had menthol, I'd be more than happy. I've seen myself adding menthol or Koolada to my fruit vapes, making them more pronounced in flavour. Blackcurrant, and raspberries, both flavourful, with none taking prevelence over the other. It reminded of eating my favourite ice lolly. Fruity, with that icy cold feeling. It was a lovely chilling vape. On the exhale, the coolness covered my palate, and left a frosty coldness on my lips. Then came all the fruits, one after the other, feeling and tasting the flavours, with a hint of mintiness flowing over my tastebuds. This was beautiful. It had so many enjoyable flavours, it took 'Blasberry' to a new dimension. Summary:- If you like fresh, fruity vapes with a menthol kick, you're going to adore this one. Try it, you won't be disappointed. 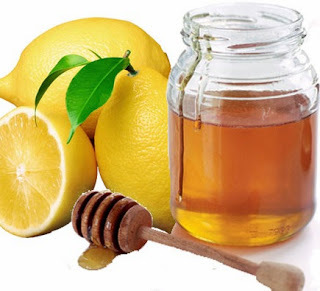 Lemon and honey, traditionally used as a medicine for coughs and colds, and also as a herbal medicine for joint pains and many other ailments. This is my mental cure for your lemon withdrawal, with a kick of menthol, to help awaken your taste buds. On opening the bottle, a fresh, zesty lemon aroma, gently rose from the bottle. Sweet, refreshing and very mouth watering. Lemon is one of my favourite flavours. They are bright, clean and citrusy and make great palate cleansers. On the inhale, a bitter sweet taste of citrus lemon, tart, yet sweet, drawing my cheeks together with a flavour similar to a lemon curd. It was a creamy lemon flavour and tasted quite strong but pleasant as I enjoy bold flavours. On the exhale, the sharpness of the lemon, coated my palate, making me salivate as the juices covered the whole of my mouth. This tasted tangy and sharp with a slight natural sweetness, and an underlying flavour of sweet, soothing honey. Trickling on the back of my throat, smoothly caressing my palate, and then the crisp, clean lemon folding together with the honey made this an amazing soother for when you have a cold or sore throat. Summary:- A culinary and non culinary delight. This flavour was quite nice. It's one I couldn't vape all day, but it would be nice after a meal, or as a change from other flavours. If you like creamy citrus vapes, this one could be for you. You can Contact them, either on 'https://m.facebook.com/Loulabellesliquids?__user=506778005, where they will be happy to answer any of your questions. or directly on their online shop at www.loulabellesliquids.co.uk which will be going live on Wednesday 9th October 2013. 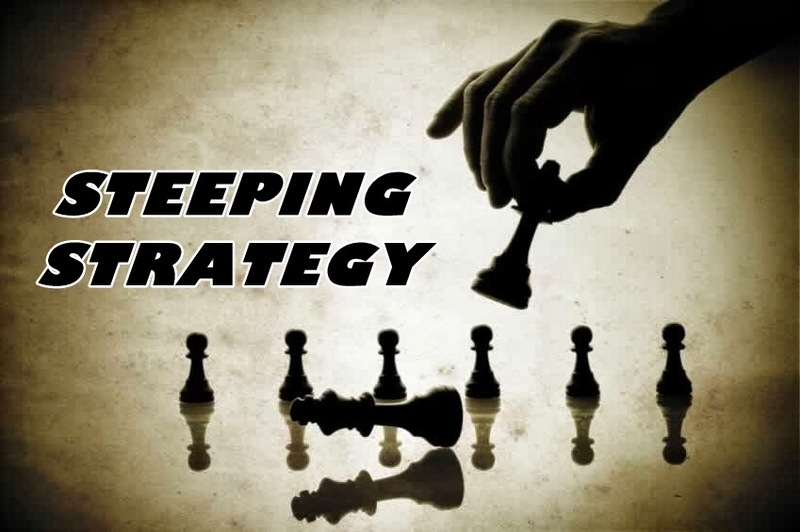 A question often asked is “What is steeping?”, closely followed by “How long should I steep a Liquid”? Essentially steeping (in the context that we are interested in, i.e. for e-liquids), is a process, or number of process, used to blend, age and mature an e-liquid, to the point where the best flavour can be obtained from vaping it. Steeping can be observed in the manufacture of lots of things, for example, alcohol and the food industry. Anyone that’s made a Christmas pudding will know about allowing it time to mature and develop, or soaking the fruit in an alcohol overnight (steeping). Steeping will provide the best possible flavour from our e-juice by rounding out any harsh flavours, blending multiple flavours together, developing, maturing or ageing flavours. Flavorings need to completely diffuse into the types of base liquids we use, these need time to bond molecularly with any single or combination of base liquids used in a mix (Nic base, PG, VG, etc). In addition, air is required to interact with the liquid, this causes oxidation, replenishing the air in the bottle will help oxidation and in turn quicken steeping, leaving the cap off helps (but make sure it is in a safe position). As a juice steeps it will normally darken, this can be an indication to when a liquid has matured (molecular interaction with nicotine causes this - I have noticed the higher nicotine content, the quicker a juice will mature and darker the liquid will become). Steeping methods that have been tried and tested and proved (if not always scientifically) vary and some are listed below. Steeping will nearly always improve a e-liquid, I don’t know of any that have worsened. The first and most traditional method of steeping is “Time”. Leaving the top off the bottle (allowing air to get to it) will steep and improve a juice by itself, this is usually done by placing the opened bottle in a warm dark place for anything from a day or two up to a week, occasionally giving the bottle a squeeze to expel the air in it and replenish it with fresh air. Benefits are naturally steeped and matured juice, disadvantage, the length of time it takes. Steeping however, in particular the time element, can be reduced by also employing a number of additional methods. Vigourous shaking, stirring, etc will help, allow time for the air bubbles to rise to the surface and then repeat again (as many times as you can/want). Putting the bottle of juice in a warm (not hot) water bath will shorten the time it takes to mature a juice, it firstly thins the liquid and allows interchange and fusion at a molecular level. However, Heat is an enemy of Nicotine, it will degrade the Nic content if too hot. Warm not Hot water is advised. Another method of heating is a microwave. This acts like above, but also has another action thought to do with increased molecular particle fusion when juice is blasted with microwaves. Once again, Heat is an enemy of Nicotine, so use in short 1 sec bursts to get it warm, not hot. Oh, and take the cap off first. Using any (or a combination) of the above methods and then allowing time in a warm dark place, will improve any e-liquid considerably. Other agitation methods have been employed successfully, including placing bottles in a rotating polisher (for polishing gem stones etc), using a vibrating electrical orbital sander, one report of a person wrapping a bottle in cloth and putting it inside the hubcap of his car for the duration of his daily travel. This method combines Vibration from ultrasonic frequency or pulses of energy, with or without a warm water bath, reports have been very encouraging when using this method, some say reducing 2 weeks of steeping time to a single day. Chemical additions. There are new developments all the time, and I am sure that development on this is ongoing, however at this time no successfully reported methods have been noted and anyway, I am not a lover of adding chemicals. So I can see the next question is going to be…..
How long do I let a juice steep? The Answer is “As long as it takes”. No two juices are the same, or will taste the same to you or me…. I would suggest the only person that can answer that is you…. It may be as little as a day or two. But, you will have to experiment, one thing is definite, given time to mature and using some of the methods above, they will improve from the first opening of a bottle.. This is a recommendation for all shop purchased e-liquids not just ours, all will improve with some steeping, manufactures usually bottle as soon as a juice is made, this halts the steeping process to a degree, employing the "cap off and dark warm place method", will improve 99.9% of juices. I am sure that many users do not obtain the full potential from purchased juices because they do not allow adequate time for it to mature and reach its optimum flavour. Employing some of the above methods will hopefully reduce the “wait time”, and give you more pleasure from your chosen juice. Loulabelle's Liquids are not to be used by persons under the age of 18, pregnant or breast-feeding women or persons in ill health. E-liquids contain nicotine, which is an addictive drug which should be used wisely and not as a smoking cessation aid.